I first heard the phrase, “serving your spouse” as a newly engaged young woman, ready to plan our wedding and start my life with the man of my dreams. “Serve my husband?”, I thought. Of COURSE I would lovingly serve him everyday for the rest of my life. He’s my soul mate and there is nothing that I want more than to serve him! Fast forward twelve happily married years and if I am honest, there are days that serving him can’t compete with the needs of demanding children and a busy life. There are times when serving him is the last thing on my heart after a long day. The poor soul sometimes gets the leftovers of me, where I’m too tired to think about anything else other than a hot bath and clean sheets. But a marriage should be more than two ships passing in the night, with more than a peck on the cheek and half-hearted hug every day. After God, your relationship with your spouse should be your top priority. While it’s tempting to let the crying and demands of children high jack your marriage, it’s time to fight for your relationship with intentionally serving and blessing you spouse. That’s right. The way to connect with your spouse is to find ways to serve him, even putting his own needs above your own. It’s more than a little humbling to think the word service should be at the core of our marriage, and we should seek to serve our spouses without expecting anything out of it. Doesn’t she know this is the age of the modern woman, in which we seek to be as independent as possible apart from our husbands? You have no idea who my husband is or what he’s done. Why am I supposed to serve? What about me? He’s never thoughtful about my needs and when’s the last time he’s served me? Friends, we live in a society full of self-seekers, where the popular notion is to please ourselves and to put ourselves in front of the needs of others. We live a world where females are told that being a servant is sexist and that we need to continually demonstrate our equality. Yet that thought process is warped and poisonous to marriage. Self-centeredness is what leads to the disintegration of the marriage unit and the severing of ties between two who were joined for a lifetime. It may seem against human nature to put the needs of others in front of our own, but God will change your heart and attitude towards the idea of servant hood. Let’s clarify, though. Serving someone doesn’t mean you’re their servant, where you have no rights or needs of your own. The idea of service has gotten a bad rap in our modern times; and some think it’s absurd that one would voluntarily serve another. Service is putting someone else’s needs above your own, valuing them more than you value yourself, and accepting them for who they truly are. Service is not at all like the grand gestures of love in the movies. Service is the small gestures that often go unnoticed. Service is giving humbly without expecting in return. Service can be found in the small ways you love him day after day. Service is the meal made with love and with a joyful spirit. Service is biting your tongue when you want to offer a smart reply. Service is accepting him who he is, flaws and all, and choosing to stand by him anyways. Service is offering grace in times when he messes up. Service is setting the coffee so it will be ready when he wakes after a long night of work. Service is letting him have the last piece of pizza when you really wanted it. When we truly and humbly serve our spouse, we show Him glimpses of God’s heart and character, and strengthen our marriage one small act at a time. When we are intentional about serving, we demonstrate our love and bestow worth, value, and respect on our spouse. When we look towards serving him, we demonstrate characteristics of the ultimate servant, Jesus. It is through our greatest example of servant hood, that we can find joy in serving our husband and in serving him, we find fulfillment in his happiness. As you evaluate your marriage, do you need to plan more intentional acts of service towards your spouse? Do you do them with a loving heart and joyful attitude? If you realize you may be falling a little short in this area, it’s never too late to jump in and bless your spouse. 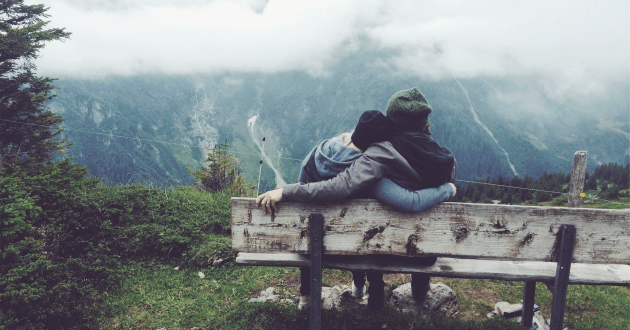 You can reignite your marriage with this simple concept! What’s your favorite way you serve your spouse? I love what you are saying. My issue, though, is that I never find blogs like this written by men. I wish I did. If both people do this for each other (and in most good marriages, they do), then the marriage stays strong. I know that my husband serves me as much as I serve him. Sometimes, he serves more (if I need it) and, sometimes, I serve more (if he needs it). But our mutually devotion to each other is the heart of our marriage. I totally understand< Kristy! It can be daunting and frustrating that we are the only one serving, but we are called to serve, even when it's not reciprocated. I've found when I'm focused on him, it makes me grow in character and changes my heart. I know it can be hard to serve someone when they aren't serving you in return, but hang in there! Excellent post, Sarah Ann! This is such an important reminder to women who desire to walk as God is calling them to walk in their marriages. And with His strength, we can live as He is calling us to live. Thanks, Laurie! It’s not popular or even what many like to think about, but we are called to serve. I appreciate you sharing and pinning. God bless! Well…I just can’t say enough good things about this post! Truth is hard to find but I have found it here! Thanks for taking the time to write this! Janelle@The Peaceful Haven recently posted…Gluten Free Superbowl Snacks…More Than Chips! I so agree, Janelle! Truth is hard to find and even more hard to hear. Truth is not always popular, but I thankful God gives us courage to be bold in faith. Much love to you, my sweet friend! I agree with your words! In today’s world, this is not common practice. It is a ‘me’ world and placing self above others. I also place my spouse above my children. I know this is not common either, but it is what I feel is best for our home. In order for us to set a good example for our children and teach them how to treat others, I must show them in my marriage with my husband. I will be pinning this to my family board at Being Fibro Mom as well as my Facebook page. Thank you! I found your post at Coffee and Conversation link party. Thank you, Brandi! It’s so refreshing to know that someone else “gets it” and that you are instilling these values in your children. Children are always watching and even with my children being little, I know they are soaking in what we say and do. Many blessings to you and your family! Glad to meet you through Blogelina. Can’t wait to follow you and learn from each other! Shauna Hartley-Lynn recently posted…Changes Are Coming Soon!!! Yes, it’s so nice to meet you! I’ll be sure to stop by and check out your blog! Awww, good for you for starting off strong and for learning how to serve your spouse from day one! I don’t think this message could ever be ‘overdone’ when it is told from the heart of a true servant. We need to love on our husbands, support them, encourage them and remind them we are on their team. 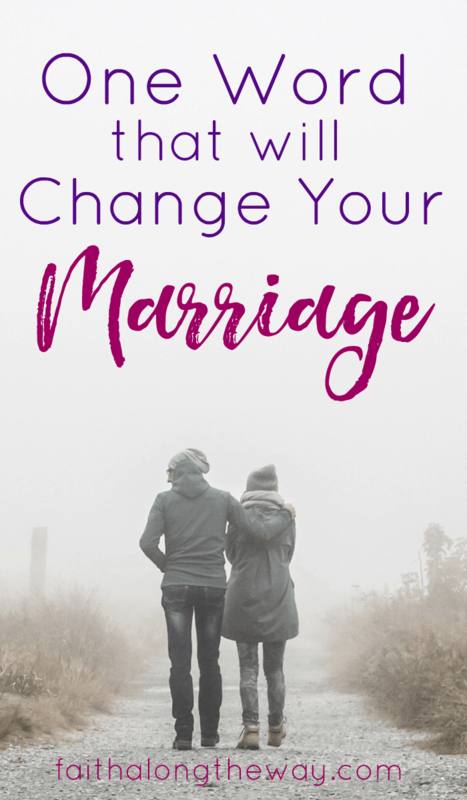 When I was a young bride I was a bit prideful and chose to ‘not be a doormat’ and oh the trouble I would have saved myself all those years ago if I had just realized the blessing I would reap in loving my husband as I should have. 🙂 Great post, Sarah Ann! Oh I remember those days! It’s always a comfort to know I wasn’t the only head strong girl thinking life would be different for her. Lol! I’m glad we both learned that successful marriages are about service. comprise, and sacrifice. Many blessings to you on your journey! Stopping by from Mommy Mondays! Yes! I find that when my heart is geared toward service, I have much joy in doing for others than seeking things for myself. I’m so glad you stopped by! Great post! I know have been slacking lately in this department. Thanks for the reminder!! I think it’s so easy to let your relationship slide and so important to be intentional about serving the one we love! Yes, not popular but SO important! Thanks for this post! I’m visiting you from Titus 2 Tuesday. It’s sometimes hard to talk about the real give-and-take necessary to achieve a good marriage because it sounds so “old fashioned.” Talking about sacrificing for your man raises the hair on a lot of people’s necks. But marriage requires that from both a husband and wife! Thanks for this. Yes, it’s not a popular concept, but one that needs to be talked about regardless. Best wishes to you on your journey to being a servant spouse. This is a very thoughtful post, and I completely agree with you. Serving your husband should be a priority. Though some people might misinterpret that as something negative, it’s just part of the sanctity of marriage–there’s a give and a take. I’m certain that my husband gives me what he can, so the least I can do is give him the same. Otherwise, what’s the point of the relationship, right? If there’s no give and take, what is there left? I agree with you, Marla. So many people view serving as a negative, when really it’s such a blessing to our spouse. It’s hard not to wonder “what about me”, but I think true, sacrificial love is about giving even if the other person doesn’t give back. Plus, when he sees you lavishly love him, he’s more inclined to do the same. Amen! We have gotten so far away from serving and too into ourselves these days. It is up to us to treat our husband the way God wants us to and to set the example for our children. They won’t see it otherwise! Thanks for the powerful reminder that we are called to be servants also as examples for our children. It’s such an important reminder that they are always watching! Lovely truth here, Sarah Ann. I also have found that when I serve my husband, he is more interested in serving me…and vice versa. That’s not the reason to serve; if it becomes why I serve, then that’s nothing more than manipulation. But it’s a happy side effect in a healthy marriage. 🙂 I’m so glad you shared this at Grace & Truth! Yes, Jennifer! It’s so true that the service of one will spark the service of another, and it’s SO true that it becomes manipulation. Thanks for sharing your voice on this! Loved your practical and relevant perspective on serving our guys – in the small things: the pizza, the coffee, the grace – those little things are so precious. And doing them knowing that we are honoring the one who God has chosen to love us like He does, well that just makes it all the sweeter. Not always easy, and boy have I often missed the boat, but when he’s blessed, I’m blessed and then God is blessed. So glad to have stopped by from Holley’s. Thanks, Tiffany! Our relationship is built on doing the little things for each other and keeping a servant attitude. I feel that my Hubs has way more of a servant heart than I do, but I’m learning. It sounds like you have a wonderful marriage! You are such an encouragement to me! God bless! It’s great to have marriage check-ups! Love that idea! This is so beautiful and true, but my experience is from the flip side of this. When I became a Christian some years back, I interpreted this as shutting my mouth – ALL the time, until we were no longer a team, it was just me going along trying to keep peace. It turned out that not only was I hurting myself, I wasn’t helping HIM face and deal with problems that were hurting our family. For me, it was SUCH a fine line that I actually needed others to point out what was going on. Standing up for myself was the best thing I ever did. It’s been a few months and we are BOTH doing the hard work of fixing our marriage and ourselves, and in fact, he (an agnostic) is considering faith in God. But the proof that I did the right thing by both standing up and fighting for our marriage is our kids. They 100% changed in the last few months…happier, more obedient and closer to their dad than ever. That is such a great and important point! I think often people think that being a Christian is being a doormat and letting people walk all over you. Not true! What we are called to do is show grace, respect, and love with our words and actions, even when it’s hard. It sounds like God is doing a mighty work in your marriage. Awesome! Love this! (Especially the service is holding your tongue part . . . ) I really like how you gave practical examples of service in marriage. Thanks for a great post. Thank you for sharing! I confess I rebelled to the thought of “service” even though Jesus didn’t come to be served, but to serve us! I have learned over the years what a beautiful thing it is to submit and be of service to my husband. I pray many other wives will find that hidden gem, with the road map you provided in this blog!